The Bay Area was one of the first areas to host Indian immigration in the United States. While that community has seen major population growth over the last 30 years, the history of Bay Area Sikhs dates back to the 1800s when many arrived as Gold Rush laborers. Unlike other foreign arrivals, the Sikh community left San Francisco and settled mostly in the suburbs of the East Bay and the South Bay. In rural Yuba City, California's prune capital, nearly 10% of the community is Sikh with roots in the Punjab province of India. 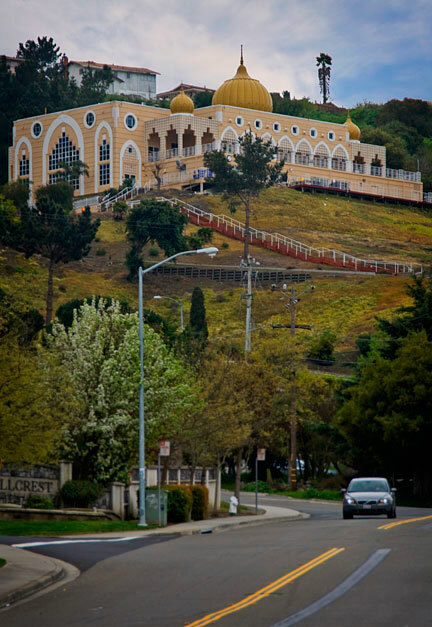 The 18-year old El Sobrante Gurdwara Sahib shown above is equipped to accommodate up to eight hundred people and is one of three Sikh temples in the Bay Area. 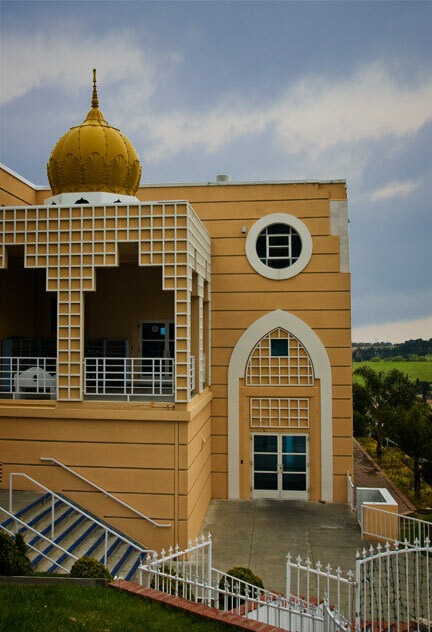 The Gurdwara welcomes people of all colors and creeds and there is no appointment needed to visit. Visitors need only to cover their head with a piece of cloth, remove their shoes, and wash their feet. The temple is open from 5 am to 9 pm and visitors are encouraged to participate in Langar, the collective eating of free vegetarian food and tea.